The Amex Centurion Lounge at New York’s LaGuardia airport opened its doors today, making it the third US Centurion lounge along with the ones at McCarran airport in Las Vegas and in Dallas (DFW). 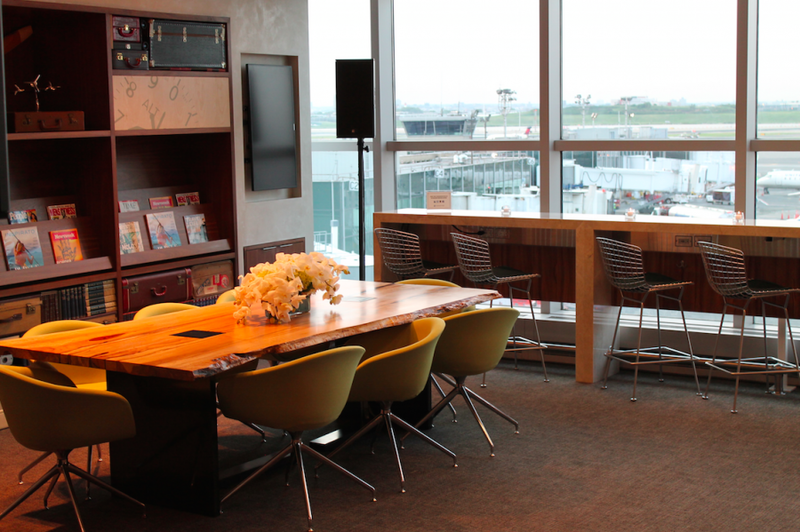 Two more Centurion Lounges are set to open in San Francisco (this fall) and Miami (early in 2015). 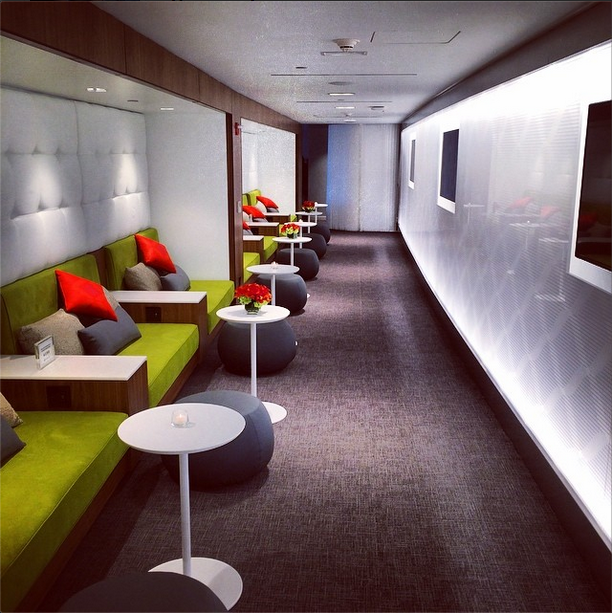 The Centurion Lounge at LaGuardia offers a complimentary buffet and full service bar. I had a chance to tour the new space last week, and as someone who flies out of LaGuardia a lot, I’m excited to see it fully open for business. The lounge is smaller than its counterparts in Las Vegas and in Dallas, though still much nicer than any other lounge at LGA. Like the other Centurion lounges, however, it strikes a nice balance between relaxation and practicality: I feel like I could get work done there, or have dinner and a drink (or both). The lounge is located before security on the 3rd level of Terminal B, and is open daily from 6 am to 8 pm. The Platinum Card from American Express, The Business Platinum Card from American Express OPEN, and of course Centurion cardholders get complimentary access for themselves and immediate family OR up to two companions. Other Amex cardholders (including those who have American Express cards issued by other banks), can get a one-day lounge pass for $50, which also grants admission to children under 18. I’m looking forward to my first visit during normal operating hours, but I’m not sure yet when that will be. In the meantime, I’d love to hear from readers about their experiences. If you’re flying through LaGuardia and have a chance to visit the new lounge, please share your thoughts in the comments below.